CORRECTION (Dec.17, 9:28 a.m.): An earlier version of this article contained two typos. We mistakenly omitted the word "the" from Andy Wirth's quote, "This is the most comprehensive environmental impact report the county has ever seen." Additionally, Wirth has pointed out that the quote "confident in prevailing in every asset," was incorrect and should say "aspect." The text has since been corrected. OLYMPIC VALLEY, Calif. — The environmental group behind the campaign to “Keep Squaw True,” Sierra Watch, made good on its promise to pursue legal action against Placer County this week for its Nov. 15 approval of the plan to redevelop the Village at Squaw Valley. Sierra Watch, the lone plaintiff in the lawsuit, alleges the county violated the California Environmental Quality Act, because in approving the development, the board of supervisors certified what Sierra Watch calls an inadequate environmental impact report. The complaint outlines eight ways the county allegedly failed to recirculate the EIR, respond to comments, as well as analyze and mitigate the project’s impacts. “I was not alone in the community by not being surprised,” said Squaw Valley Ski Holdings President and CEO Andy Wirth in a Dec. 16 interview with the Sierra Sun. But Silverman also said it could be a while before anything happens with this lawsuit. Earlier this week, Sierra Watch also filed a Notice to Cure or Correct in an effort to get the county to hold an additional hearing. 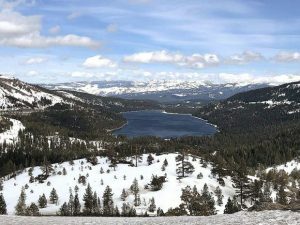 The reason for the request lies in a last-minute agreement among Squaw Valley Ski Holdings, the California Attorney General’s Office and Placer County — the details of which, according to Sierra Watch, were not made public in advance of the hearing. Still, the alleged Brown Act violation and the CEQA lawsuit are two separate violations, Silverman said. To be clear, only one lawsuit has been filed. 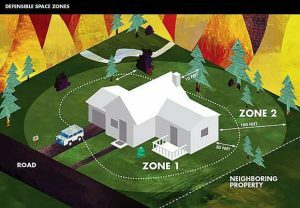 Placer County Spokesperson DeDe Cordell told the Sun Friday afternoon that the county had not yet received the lawsuit. The development, which earned the approval of both the planning commission and the board of supervisors in two separate hours-long meetings, would essentially replace an asphalt parking lot outside the existing village with 850 new lodging and residential units in addition to a 90,000-square-foot indoor waterpark, among other amenities. As the Sun has previously reported (here, here and here), environmental advocates oppose the redevelopment for a number of reasons, commonly centered on the increase in visitor traffic, and therefore vehicles, it will bring to the region.